Currently, only 50% of new mothers can take paid leave to care for their child - and this leave is often the result of taking vacation and paid time off, not from having access to dedicated maternity time. Meanwhile, over 40 million adults - many of whom are still in the workforce - also care for adults over 50. 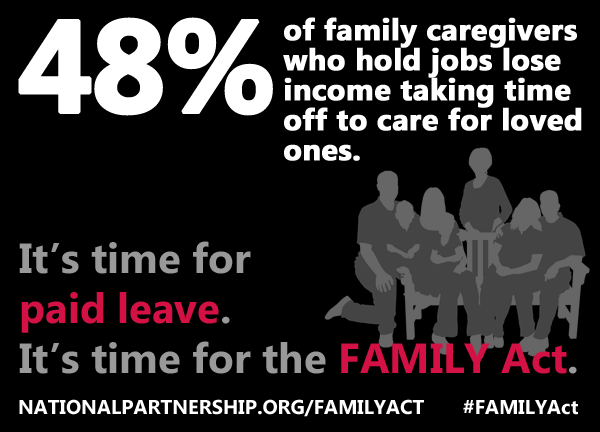 If you support the FAMILY Act, please take the time to tell your legislators. You can use this action alert from 9to5 as a starting point. 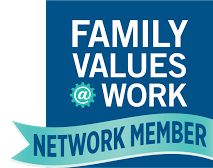 10/22/14 - October is National Work and Family Month! 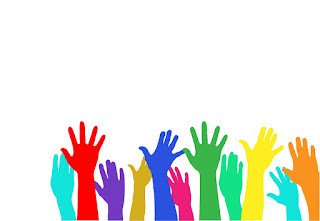 6/16/14 - FAMILY Act Week of Action Starts Today!